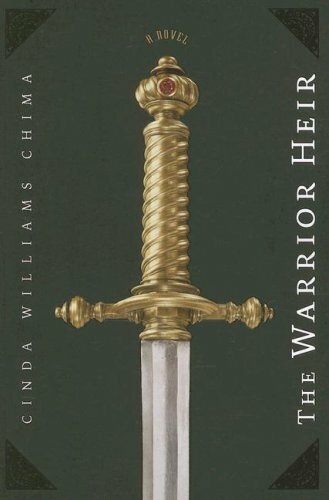 The Warrior Heir is your typical fantasy book. A young man finds out he's special. I don't want to make it sound like it was lame, it wasn't. I would give it... 3.5 stars. Maybe I should have a rating system. Do you think I should have a rating system? Discuss. This book had romance, good conquers evil, and adventure. It didn't "hold me on the edge of my seat" but it didn't put me to sleep either. Bah. This feels like another one of those reviews where I just kind of dance around what I mean to say. But... I don't actually know what I mean to say, so I'm just gonna dance. 3.5 stars, or... squeaks? Hm... If I do have a rating system, what do I use? Discuss. I kind o flike the idea of "squeaks". I like your idea of a rating system... I am usually a lurker, but I guess I will say hi! :) You always have such good books you read! I have gotten a lot of ideas from you! I don't know about a rating system, but you might give us an idea of what children might like the book, what the good parts were (since the whole didn't grab you) and a general genre category. This whole series has been wildly popular in my school, but I was lukewarm about the third one myself. Sometimes you just read a book on an off day.